Manufacturing the highest-quality instrumentation for the precise measurement and control of the optical, surface and physical properties of paper and related products is the sole purpose behind everything Technidyne does. Technidyne Corporation has not only earned an international reputation for excellence in products, service, and support; but we have also garnered a reputation for being the leading optical properties measurement supplier dedicated to serving the pulp and paper industry. Proud of our heritage, we do whatever it takes to establish and maintain the confidence of all our customers. Every Technidyne instrument strictly adheres to the appropriate TAPPI, ISO, PAPTAC, and ASTM standards. Technidyne Laboratory Services is the only laboratory in the United States with ISO Level III authorization for the issuance of optical calibration standards. An in-depth understanding of the industry’s needs combined with an innovative approach to R&D have led Technidyne to develop cutting-edge products that bring your laboratory enhanced efficiency, reliability, accuracy, and flexibility. Technidyne offers contract testing and consulting services provided by the industry’s most highly-qualified optical experts. Technidyne utilizes a partner approach to our business and seeks effective working relationships with our customers. To broaden commitment to quality throughout the industry, Technidyne shares our expertise via a series of educational seminars held at various locations throughout the world. Unparalleled product support lets new and long-term customers know their satisfaction is of the utmost importance. Technidyne makes certain the evaluation tools we offer our customers will remain relevant for years to come. Partnering with our customers and providing adaptive solutions have built Technidyne’s solid foundation; innovation is what drives us forward. Our goal is to never settle for the latest technology in testing programs and devices, rather it is to push technology even further. In fact, the PROFILE/Plus™ line of automated testers is an outstanding example of how Technidyne has taken progressive steps forward in measurement and automated testing technology. 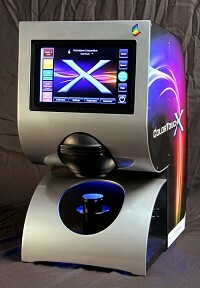 When the Color Touch was first introduced in 1993, it set the standard for user interface and simplicity of operation. 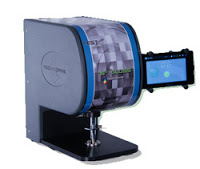 Now with over fifteen years as a mainstay in the industry, the Color Touch continues to provide function ality that no other spectrophotometer on the market can match. Whether it is the software packages of the Color Touch PC or the PROFILE/Plus™ line of instrumentation, Technidyne seeks to advance in a way that provides the most easily configurable solutions that will withstand the test of time. By partnering with Technidyne, our customers can be confident that our innovative designs will give them the freedom to meet the testing demands of today and tomorrow.